Every time you place a bet it is a gamble. And with every gamble there is a risk. Gambling is, by its very nature, a risk-ridden way to fill your time or even to try and make money. But, when done sensibly, it can also be a fun and exciting addition to watching sport. Alot of people have been complaining that betting has frustrated there lifes and that bookies are playing with them by switching odds up and down, while some are complaining that they are tired of one games cutting the tickets. If you one of them you need this article. With this article you can be able to stake games without being afraid of one or two games cutting or spoiling your hard earned money. A Patent consists of 7 bets involving 3 selections in different events. The bet includes a single on each selection, plus 3 doubles and 1 treble. Just one successful selection guarantees a return. A Yankee consists of 11 bets involving 4 selections in different events. The bet includes 6 doubles, 4 trebles, and an accumulator. A minimum of 2 of your selections must be successful to get a return. A Lucky 15 consists of 15 bets involving 4 selections in different events. The bet includes 4 singles, 6 doubles, 4 trebles, and 1 fourfold. If only one selection wins, as a consolation returns are paid to double the odds. If all four selections win, a bonus of 10% is added to total returns. For the bonus to apply, all selections must win (none void or non-runners). For each-way bets the consolation is paid only on the win part of the bet. Lucky 15 bets are accepted on horse racing and greyhounds only. A Canadian (also known as a Super Yankee) consists of 26 bets involving 5 selections in different events. The bet includes 10 doubles, 10 trebles, 5 fourfolds plus an accumulator. A minimum of 2 of your selections must be successful to get a return. A Lucky 31 consists of 31 bets involving 5 selections in different events. 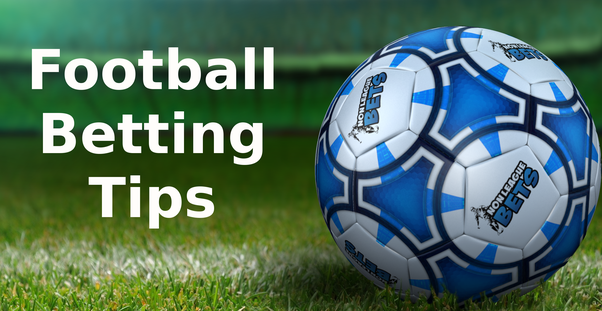 The bets include 5 singles, 10 doubles, 10 trebles, 5 fourfolds and an accumulator. If only one selection wins, returns are paid to double the odds. If all five selections win, a bonus of 15% is added to total returns. For the bonus to apply, all selections must win (none void or non-runners). For each-way bets the consolation is paid only on the win part of the bet. Lucky 31 bets are accepted on horse racing and greyhounds only. A Heinz consists of 57 bets involving 6 selections in different events. The bet includes 15 doubles, 20 trebles, 15 fourfolds, 6 fivefolds and an accumulator. A minimum of 2 of your selections must be successful to get a return. A Lucky 63 consists of 63 bets involving 6 selections in different events. The bet includes 6 singles, 15 doubles, 20 trebles, 15 fourfolds, 6 fivefolds and an accumulator. If only one selection wins, returns are paid to double the odds. If all six selections win, a bonus of 20% is added to total returns. For the bonus to apply, all selections must win (none void or non-runners). For each-way bets the consolation is paid only on the win part of the bet . Lucky 63 bets are accepted on horse racing and greyhounds only. A Super Heinz consists of 120 bets involving 7 selections in different events. The bet includes 21 doubles, 35 trebles, 35 fourfolds, 21 fivefolds, 7 sixfolds and an accumulator. A minimum of 2 of your selections must be successful to get a return. A Goliath consists of 247 bets involving 8 selections in different events. The bet includes 28 doubles, 56 trebles, 70 fourfolds, 56 fivefolds, 28 sixfolds, 8 sevenfolds and an accumulator. A minimum of 2 of your selections must be successful to get a return.